Modern design and contemporary living are the key elements to this custom look. For this client, our design team used the template of their living space to create a functional, elegant home. 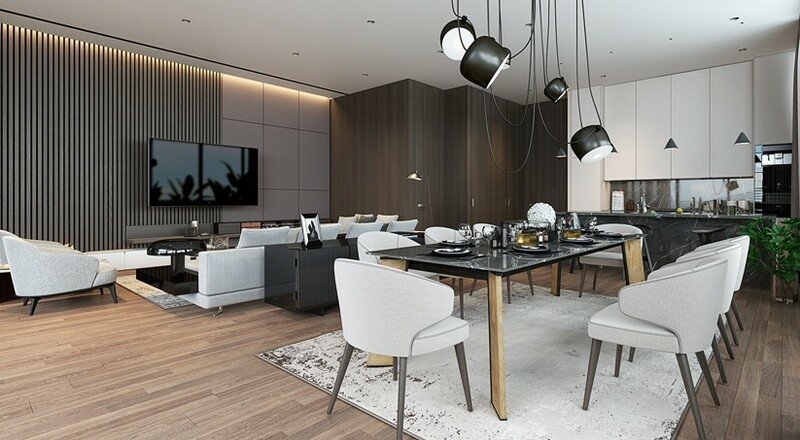 With the use of soft, muted colors, like off-white, brown tones, and black, the Miami Contemporary design provided our client with a residential living space that they had expressed desire for in our consultations. Our use of sleek lines and open lighting made this one of our favorite projects, and we were pleased to see that our execution of the client’s vision exceeded expectations. Inspired by the Miami lifestyle, the Miami Contemporary design is created to provide fun and adventure for the homeowner. 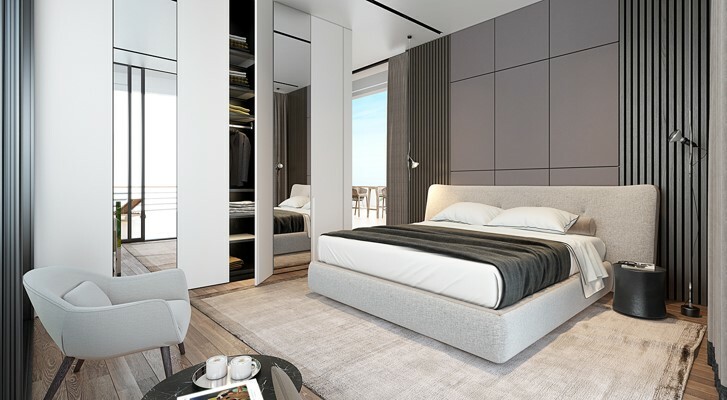 A space that truly invites the happiness, tranquility, and whimsey of luxury living. Crafted by Nicholas DeJesu, Founder and Creative Director, this style features an open and airy floor plan. Natural materials, like wood floors and glass tables, are comfortable and charming. Panoramic windows allow the sun to shine in, drawing the natural Florida light into the living space. We consider each aspect of this design to be flawless—with each feature complimenting the components around it. The lines meet in the appropriate places. The furniture is carefully arranged for a home that is inviting. And, the neutral colors give you a sense of warmth. 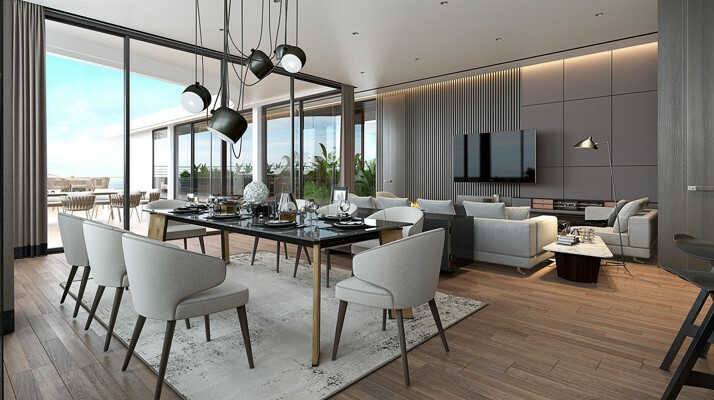 Every facet of this design is carefully planned and executed to evoke an aesthetic that is not only a lifestyle, but create an interior you’ll never want to leave. Luxe Design Studios takes the concepts of the clients and brings them to fruition. Our designs are modern, smart, and desirable. Let us tailor a home around you. Contact us to schedule an initial consultation.